Cape Town - Bidvest Wits head coach Gavin Hunt was left baffled by his side's inability to convert their chances in the 1-0 defeat to Orlando Pirates at Bidvest Stadium on Saturday afternoon. Despite being on the front foot for most of the game and having plenty of chances to score, Wits ended up on the losing side after Keagan Ritchie put the ball into his own net in stoppage time to hand Pirates all three points. "Where do I start? Totally dominant, you can use all those football terminology, tactically out-played them. We should have been up, we don’t get the penalty. 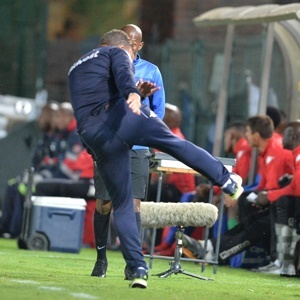 And then we concede a goal like that,” Hunt told SuperSport TV. "It’s been happening to us for the last couple of weeks, conceding goals like that. What do you want me to say, there’s nothing I can say really. Good performance from us. It’s football, it’s crazy." Hunt was asked whether he would have settled for a draw and responded saying his side were desperately unlucky not to come away with all three points. "We were highly upset, we should have won the game," said the Wits mentor. "The first 20 minutes we had three or four chances, you don't score. In the second-half unbelievable opportunities, penalty we don't get it. "Ja, say what you want I thought we were very good today. I gotta say congratulations to Pirates but my God football will kill you sometimes."